There a more than a handful of options to display or preserve photos of your special wedding day. There are digital frames; digital cameras; camera phones; iPads; Galaxy Tabs; your Facebook’s and Twitters versus the conventional and primitive photo album with that plastic seal over your jumbo sized images (These were for the film camera days – check your calendar for the times). All the other options mentioned above are not tangible and as private as your home setting. Some of the questions you should be asking yourself before your wedding day is how you long whatever medium you use to preserve your images will last you? Is it tangible and long-lasting? The BIG perk with the digital world is its inability to sync well with certain elder members of the family. A medium that can be accessible to all your loved ones – young and old, would be great, DON’T YOU AGREE? This medium should be something durable, something you’d still be able to flaunt in 10 Years’ Time. The last thing you want to do is to read Aunt Lucy and her little rascal some rules about paging through your beautiful book so your pages don’t wear or fall off. So… OUT with the conventional ways of doing things and IN, with showing off your great wedding, in a medium that is both personalized and stylish. 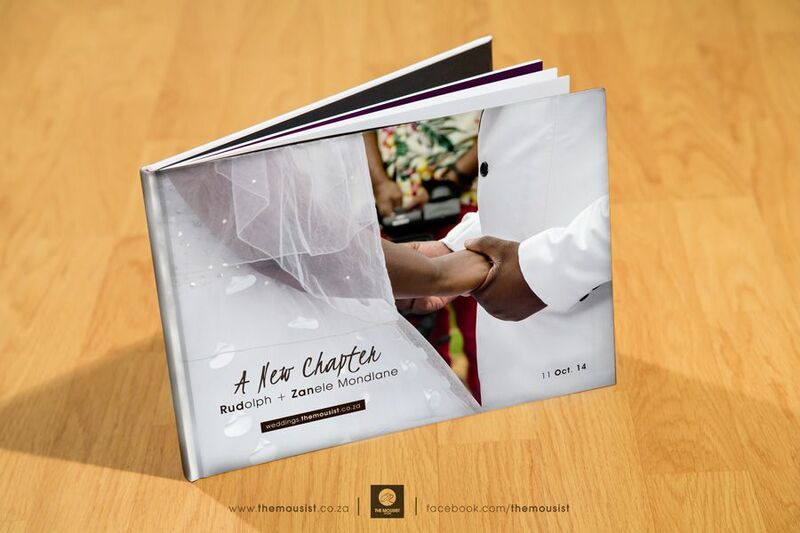 Don't Compromise, Get This A4 Photo Book + A3 Album Package for your Wedding so you can preserve all those precious memories of your special day / event / wedding for years to come! Why compromise on the quality of the images captured on your special day? When TheMousist.co.za can keep them preserved for a lifetime? PSSSST! You have to see it in 3D to experience it’s drawing effect… drop me a mail or a comment, I can bring it to your doorstep as in yesterday! CALL THE MOUSIST NOW!!! We'll get you a GOOD DEAL... We Promise!